Love. It is the dream that we want to be ensnared in. Powerful and magical, but at it’s worst, a fickle illusion. 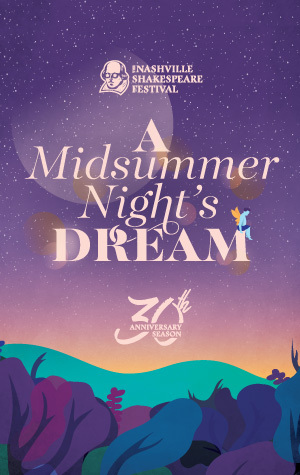 Shakespeare’s classical comedy, A Midsummer Night’s Dream explores the duality of love in a magical, transformative production that asks: if we are in love are we ever in control? Directed by Jaclynn Jutting. The Nashville Shakespeare Festival is a professional theatre company founded in 1988. Heralded as a Nashville treasure, the NSF is beloved for its annual FREE Shakespeare in the Park productions in Centennial Park that have delighted audiences for more than a quarter century. The Nashville Shakespeare Festival also operates year-round educational programs, and an annual indoor Winter Shakespeare production at the Troutt Theater on the Belmont University Campus. Royal Packages include meals unless purchased after 12pm on the day of the performance. Royal Box A and B, seat 1 and Royal Seating C and D seats 1 & 7.